A weak or dying tree is an ever-present danger to your property. Don't wait until it is too late, make sure you call a professional to have it removed before it falls on your house, car or worse, a family member. If you are in need of tree removal services in NJ, let the tree removal experts at Amazing Tree Services take care of it! 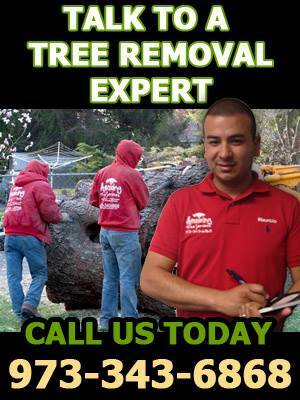 Amazing Tree Services employs only expert, certified tree technicians. Our fully insured crew is knowledgeable and skilled in the safe and secure removal of dead or dying trees and branches to ensure your property is unharmed. Amazing Tree Services also owns all of the machinery and equipment used. We are very familiar with our equipment and take all precautions necessary to minimize risk or complications while maximizing productivity and efficiency, exceeding your expectations. Don't let a dead or dying tree put your property or family at risk. If you would like a free estimate on tree removal services in NJ, call Amazing Tree Services today at 973-343-6868.